Properly piecing together a rare early human skull (12,000 to 15,000 years old!) is a difficult task, but Robert Martin and JP Brown are pioneering the usage of medical technologies to give us a better picture of what Magdalenian Woman really looked like. Although previously referred to as “Magdalenian Girl,” Field Museum Curator of Biological Anthropology, Dr. Robert Martin, has established that this specimen was likely an adult woman. 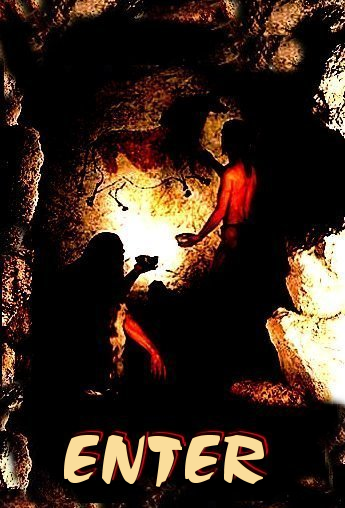 Found in a cave in France in 1911, many myths and legends have been built around the story of Magdalenian Woman. One thing we do know for sure is that in 1926, Henry Field purchased the skeleton in New York City, packed it in his suitcase and returned to Chicago on a train. Since then the Field Museum has continued to learn new things about Magdalenian Woman, human culture and the world in which we live. Tucked away in the Beune Valley a few kilometres from Les Eyzies, the Cap Blanc Prehistoric Centre reveals another aspect of Prehistoric Art Sculpture. Over 15 000 years ago, Prehistoric hunters carved horses, bison and reindeer, some of which are over two meters long, straight into the Limestone cliffs. 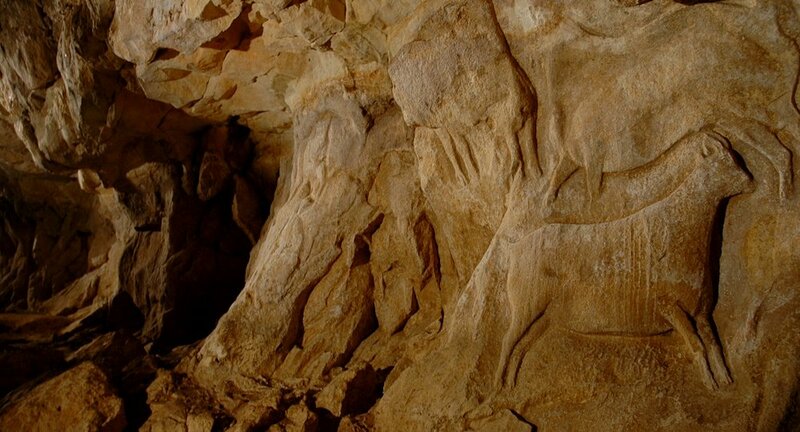 Cap Blanc, which was discovered in 1909, is today the only frieze of prehistoric sculptures in the world to be shown to the public. All around this monumental frieze, a museographical area provides the visitor with an overview of Cap Blanc life and art. Objects, pictures, and a fresco tell the story of Prehistoric sculptors throughout Europe. In 1911, further digging in front of the shelter for the purpose of erecting a small construction to enclose and protect the frieze and for lowering the floor level to make the art more visible to visitors led to the discovery of a human skull. Work was suspended and prehistorians Louis Capitan and Denis Peyrony were asked to extract the skeleton, a task that took them three days. 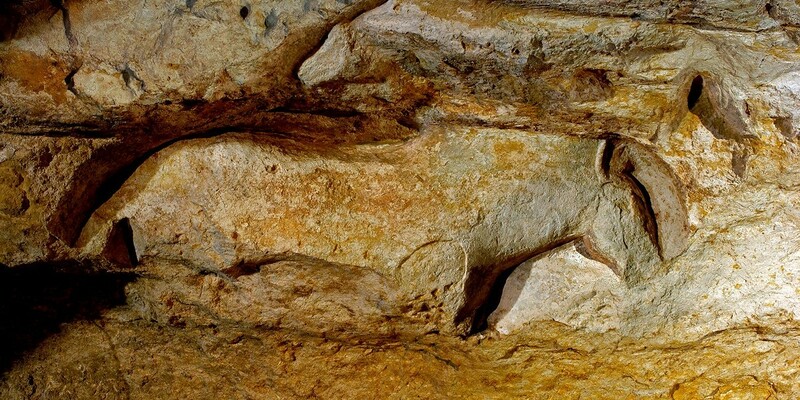 The Cap Blanc skeleton is of tremendous importance – not only a relatively intact inhumation from the late Ice Age but also one of the very few found in close proximity to parietal art of the period. Indeed, the body’s location directly in front of the central part of the shelter’s sculptured frieze can really only be compared with that of the double paleolithic inhumation of an adult woman buried with her arm around a 17-year-old male dwarf in front of the engraved block at the Riparo di Romito, Italy. It was suggested by the excavators that the Cap Blanc burial may even be that of the original sculptor (or one of them), and this is unquestionably a possibility; certainly the location of the inhumation indicates a person with a strong link to the site. In France, the excavation of the skeleton in 1911 led to a brief publication that discussed primarily the two skeletons unearthed at La Ferrassie by the same excavators. They gave few details about the Cap Blanc find, stating only that the skeleton lay at the bottom of the archaeological deposit, 2. 3 meters from the frieze and 60 centimeters below the hooves of the central horse. It had been buried amid stones, with three fairly big stones placed above it, one of them on its head and others at its feet. It had been placed on its left side, arms and legs flexed, occupying a space of only 3 feet by 2 feet (1 meter by 60 centimeters), immediately below a Magdalenian hearth. It is curious that early reports of the Cap Blanc skeleton claimed that it was of a male aged about 25, whereas examination by physical anthropologists eventually established that it was of a young adult female. A recent examination of the field Museum’s archive on the case made it possible to reconstruct much of the story. The earliest document in the archive is a letter, dated January 24, 1911, to Monsieur J. Grimaud, the site’s owner, from the president of the Société des Antiquaires de 1′Ouest in Poitiers, acknowledging receipt of a report on the rock shelters of Laussel (i.e. Cap Blanc) together with photos and five boxes, one containing reindeer teeth and bones and the other four containing flint tools. A letter, dated August 5, 1911, from Paul Leon, at the Ministère de l’Instruction Publique et des Beaux-Arts in Paris, thanks M. Grimaud for reporting the discovery of the skeleton and states that he will ask Peyrony to take appropriate measures to preserve it. Peyrony himself (the Membre Correspondant de la Commission des Monuments Historiques aux Eyzies) writes on August 8 that the Minister has asked him to verify the authenticity of the Laussel skeleton, make all necessary scientific observations, and supervise the excavation. He therefore went to the site that very morning and examined the find in the presence of Grimaud’s guard, Veyret. The remains were indeed authentic. Only two days later, Grimaud received a letter from Dr. Capitan, professor at the Collège de France, dated August 10, which is a key document for the site. The letter contains a sketch of the location of the bones and reports that they are 2. 3 metres from the big horse and around 70 centimetres below its muzzle. They occupy a kind of pit, 50 centimetres deep, and the skull was unfortunately broken by a blow from a workman’s pickaxe. Capitan insists, rightly, that the excavation be carried out by experienced and qualified people and suggests himself and Peyrony for the task, as they have just unearthed the two older skeletons from La Ferrassie. To make matters clear, he proposes that the excavators produce the scientific report, while any finds would belong to Grimaud. In the meantime, the skeleton has been covered with stones and planks for its protection. A new letter from Capitan, dated August 28, reports that the skeleton has been removed in its entirety in a number of blocks of earth, and it will now be possible to excavate the bones properly and carefully, once Peyrony has transported them to Paris by rail, probably in September or October. For the present, these blocks are in Peyrony’s care, and he will dry them out slowly. Most important is a brief sentence, stating that “All we found with the skeleton was a shapeless fragment. probably of ivory.” This is indeed a small ivory point measuring 0. 6 by 3 by 0. 4inches (16 by 74 by 10 millimetres), which is kept at the Field Museum, having been sold along with the skeleton. This is certainly the theory that was promoted by Henry Field, the eventual acquirer of the skeleton for the museum. He claimed in a 1927 article that the skeleton died a natural death, yet also noted: A small ivory harpoon-point found lying just above the abdomen may give a possible clue to the cause of his death. This weapon may have caused blood poisoning which resulted in death. It has been suggested tentatively that the young man [sic] felt death approaching and returned to the rock-shelter, as he desired to die before the masterpiece he had helped to create. . . It is not plausible that some one who had nothing to do with the sculpture should have been allowed to desecrate the sanctuary unless he had assisted in the work or, at any rate, was directly connected with it. No source is given for the theory that the ivory point was the cause of death or the claim that it was found above the abdomen – perhaps this was merely M. Grimaud’s opinion – but nevertheless it is baffling that such a potentially important object was completely omitted from the published report by Capitan and Peyrony. Indeed, were it not for this casual mention in Capitan’s letter, there would be absolutely no guarantee THE CAP BLANC LADY that the point had any connection with the Cap Blanc skeleton. Yet ivory is not common in Magdalenian contexts in southwest France, let alone ivory points that may be a cause of death. In this connection, it is worth noting that the only clear evidence we have of violence inflicted on humans during the last Ice Age consists of a probable flint arrowhead embedded in the pelvis of an adult woman from San Teodoro Cave, Sicily, and an arrowhead in the vertebra of a child from the Grotte des Enfants at Balzi Rossi, Italy. You will find the skull in the wooden box. It is in two pieces. It was impossible for me to reconstruct it because of the deformation caused by fossilisation. I left in the same block the upper and lower jaws as well as the seven cervical vertebrae which I extracted as well as I could. There are two upper incisors that I put to one side, since I could not fit them in their sockets. These two skull pieces are very fragile and need to be unpacked with care. The dorsal and lumbar vertebrae are all present. The ribs are incomplete. All the limb bones are in good condition. A few fragments of the shoulder-blades and pelvis bones are missing. This is due to the fragility of certain parts of these bones. A few phalanges are missing from the hands and feet. The Sale of the Bones By early 1915, the Cap Blanc skeleton had been restored to its owner. Monsieur Grimaud. It then disappeared from view until the start of his attempt to sell it to an American museum nine years later. According to Henry Field, “in 1916 M. Grimaud, having made no money out of the discoveries on his property, decided to reclaim his anticipated profit, and during the stress of war conditions was able to ship the skeleton to New York.” In his later memoirs, he added that “the skeleton was said to have been smuggled out of France during World War I in a coffin as an American soldier with the necessary papers forged.” Yet documentation available at the Field Museum provides no real clue as to why Grimaud decided to send it to America, or why he apparently waited a further eight years before trying to sell it. His initial choice was the American Museum of Natural History in New York, but, to cut a long story short, his protracted negotiations, via American lawyers in Paris, eventually came to nothing, in part because of his huge asking price ($12, 000, equivalent to about $250, 000today). With the benefit of hindsight, Field’s memoirs claim that, as he laid out the bones in Chicago, “the pelvic girdle was definitely feminine” – yet, as noted above, his article of 1927 still saw the skeleton as a young man! The skeleton in its new case was first displayed prominently just inside the museum’s main entrance. When the skeleton arrived at the Museum, it was in an almost perfectly clean condition, only a few bones being still embedded in a matrix of somewhat gritty, loam-like matter. The long bones were almost all perfectly preserved. The pelvic and the shoulder girdle were somewhat damaged, particularly in the pubic region and the scapula. The vertebral column appeared to be complete, the vertebrae were for the most part still held together by adhering soil. Twelve left and ten right ribs were found, and a rather decayed square piece of bone, apparently all that was left from the manubrium sterni. The cervical column was firmly attached to the lower jaw and a part of the upper jaw. The skull was broken into a number of fragments. The bones are of a brownish colour, darker in some spots and lighter in others. They are firm enough to be handled conveniently, yet somewhat brittle. In some spots, dental cement had been put on the bones in order to prevent them from crumbling. Von Bonin’s conclusion, after a full anatomical study, was that these were the remains of a young woman, about 5 feet, 1 inch (156 centimeters) tall and about 20 years of age. In an exhibition case next to the skeleton, the museum installed a life-size diorama of the Cap Blanc rock shelter, modeled by Frederick Blaschke. As the only complete European paleolithic skeleton on exhibition in an American museum, the Cap Blanc woman was seen by several million visitors in her first decade in Chicago alone. But the story does have a happy ending of sorts. Thanks to the generosity of a private sponsor, a complete cast of the Cap Blanc lady – and of her ivory point was made, and on July 14, 2001, the cast was installed in its rightful place beneath the central frieze in France.